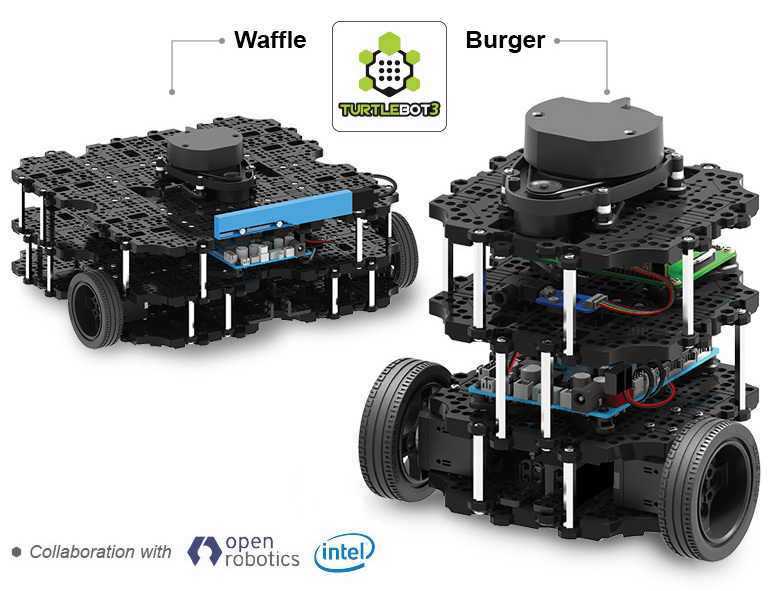 Launch the Blockly web interface and ensure that TurtleBot3 is connected to the master (your pc/laptop). 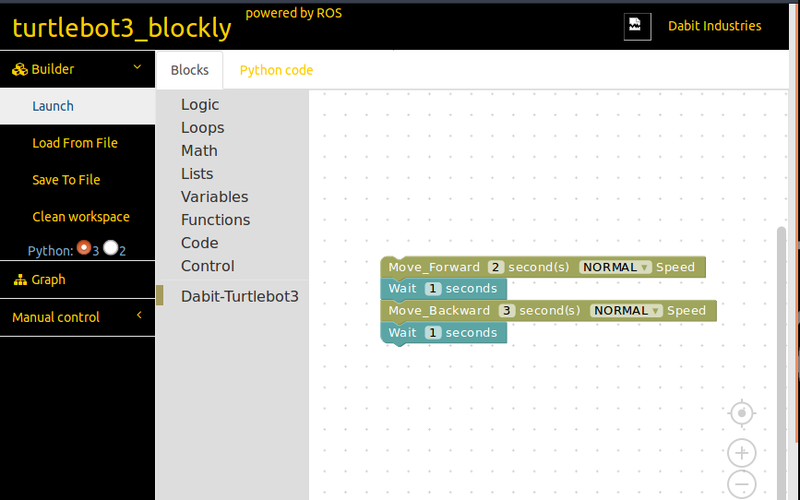 On the left sidebar of the Blockly web interface you will find Dabit-Turtlebot3 icon. Click on it and drag a Move_Forward block onto the workspace. Our task is to move the TurtleBot3 for two seconds, so change the seconds field to 2 and let’s run it at a NORMAL speed. The following figure shows the remaining steps to complete the program. You can find the Wait 1 seconds block inside the Control icon on the left sidebar. After writing the program you should launch it to make the TurtleBot3 move. Click once on the Launch icon on the far left of the Blockly web interface and you should see TurtleBot3 perform the tasks consecutively.